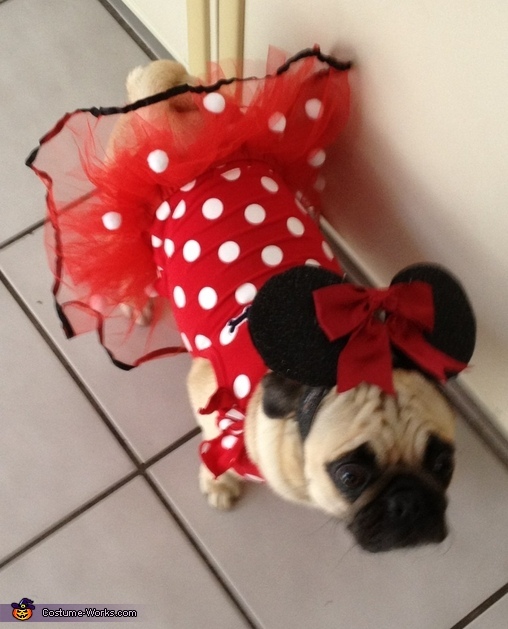 My pug Molly is wearing a homemade minnie mouse costume. This was inspired from 2 disney ornaments we have. The bodysuit is from a baby clothes store and I cut to the sleeves in half to make bows on them. The tutu was from a halloween store which i had to cut the bottom layer because it was too long and I glued white pom-pom balls on it. The head peice is cardboard ears covered with felt and a bow made from ribbon all secured around her head. Molly loves to get dressed up for halloween and sit outsidewhile we pass out candy in her costume! Great Job!! She looks soooo adorable!! Molly is adorable. Love the costume. She has my vote. 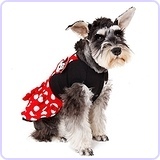 I think this is a great costume....couldnt be a cuter dog! Awww!!! I love it! Awesome costume idea and great workmanship!!! Hugs!!! Thanks everyone for the feedback on Molly! THIS COSTUME ,ASIDE FROM MOLLY BEING SUCH A WELL MANNERED AND ,LOVING DOG WITH SO MANY TALENTS WEARS THIS FABULOUS COSTUME MADE BY ASHLEY SO VERY WELL!I GIVE MY VOTE TO MOLLY,I HAVENT SEEN ANY OTHER COSTUME ,NOR DOG THAT COULD TAKE FIRST PLACE.IVE GIVEN MY HONEST OPINION,YES SOME ARE VERY NICE ,BUT MOLLYS IS FABULOUS AND HAS #1 VOTE VIA ME!MARVELOUS AND TOP PICK! Job well done Ashley. Molly looks like a little mouse. Love it!!!! You did a great job, very creative! Plus Miss Molly is so cute! Shes soooo cute!! Except for when she terrorizes me when im wearing socks!!!! But I love my molly mol!!! Love want to buy it 314 299 6161. 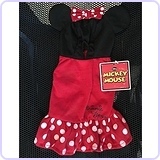 Going to Disney and my dog needs that. Oh Great! I'll give you a call on Monday! This is so cute! 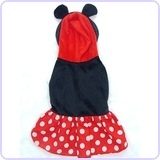 Our dog is called mini mouse, so would love to make something similar for her! Do you mind sharing the pattern I'm trying to make this! It's actually just a baby onsie, and a homemade tutu. There's no pattern that was used!